→ Tales Of Suspense #40 (3) (04/63) Prophet Of Doom! → Journey Into Mystery (1°) #76 (2) (01/62) Mind Over Matter! → Tales Of Suspense #56 (3) (08/64) Tales Of The Watcher - The Watcher's Sacrifice! 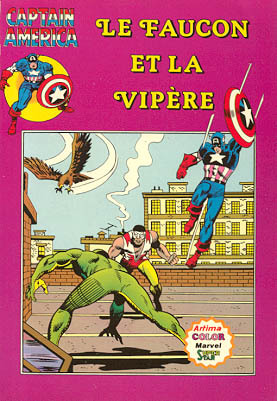 → Captain America (1°) #157 (01/73) "Veni, Vidi, Vici" : Viper! 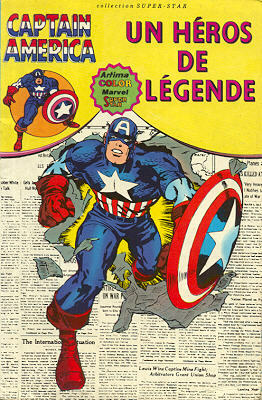 → Captain America (1°) #158 (02/73) The Crime Wave Breaks! 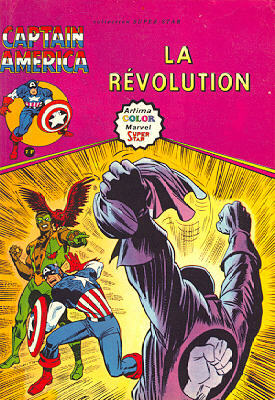 → Captain America (1°) #159 (03/73) Turning Point! 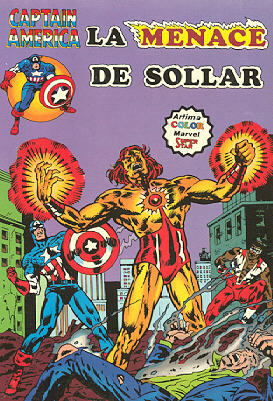 → Captain America (1°) #160 (04/73) Enter : Solarr! 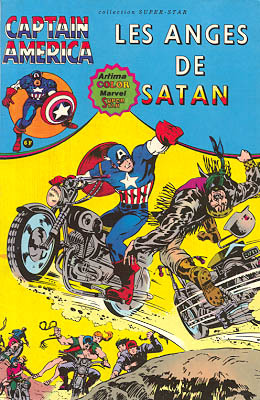 → Captain America (1°) #161 (05/73) ...If He Loseth His Soul! 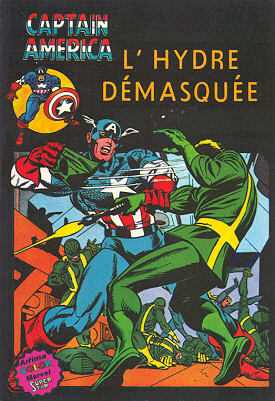 → Captain America (1°) #162 (06/73) This Way Lies Madness! 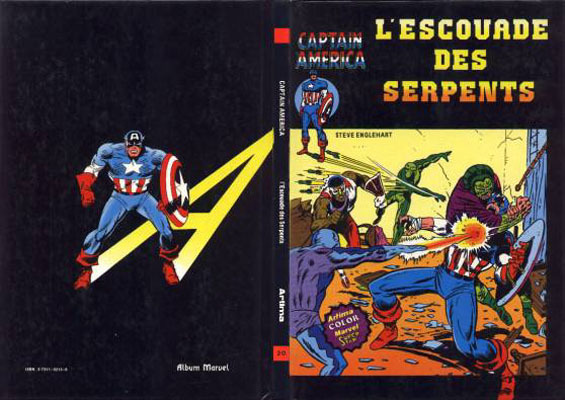 → Captain America (1°) #163 (07/73) Beware Of Serpents! 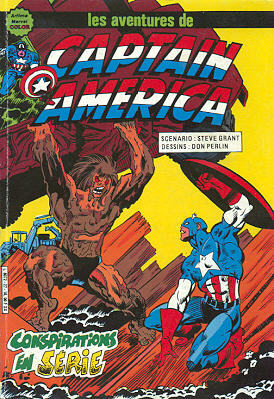 → Captain America (1°) #164 (08/73) Queen Of The Werewolves! → Tales To Astonish (1°) #42 (x) (04/63) The Eyes Of The Mummy! 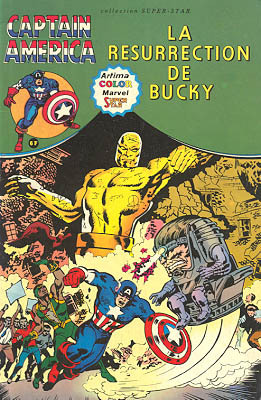 → Captain America (1°) #166 (10/73) Night Of The Lurking Dead! 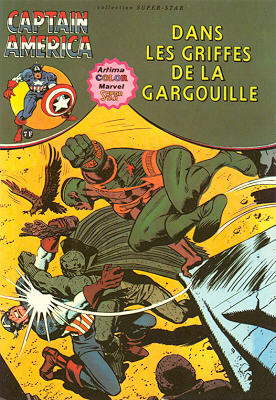 → Captain America (1°) #191 (11/75) The Trial Of The Falcon! → Tales To Astonish (1°) #47 (x) (09/63) Target... Earth! 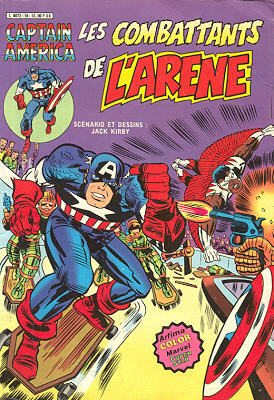 → Captain America (1°) #193 (01/76) The Madbomb, Screamer In The Brain! 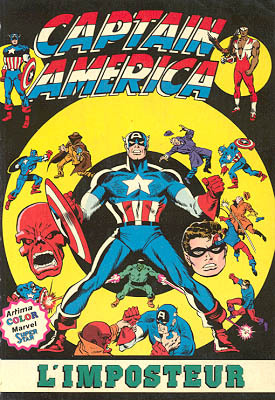 → Captain America (1°) #195 (03/76) It's 1984! → Tales To Astonish (1°) #43 (x) (05/63) Ant-Man - The Mad Master Of Time! 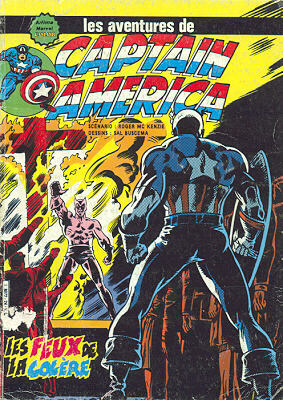 → Captain America (1°) #197 (05/76) The Rocks Are Burning! 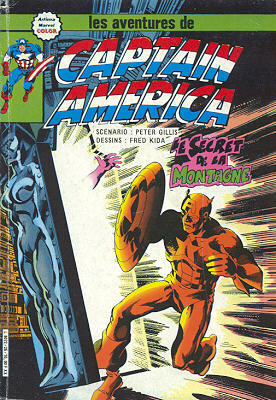 → Captain America (1°) #200 (08/76) Dawn's Early Light! → Tales To Astonish (1°) #54 (1) (04/64) Giant-Man And Wasp - No Place To Hide! 20 02/83 8 FF (1,22 €) 8,5 / 6,5 / 4,9 / 3,7 / 1,5 L'Améridroïde attaque ! 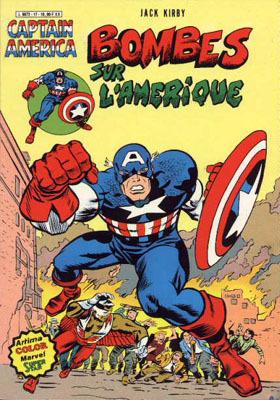 → Captain America (1°) #217 (01/78) The Search For Steve Rogers! 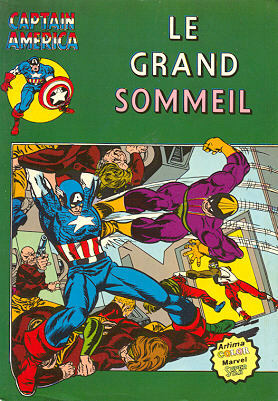 → Captain America (1°) #218 (02/78) One Day In Newfoundland! 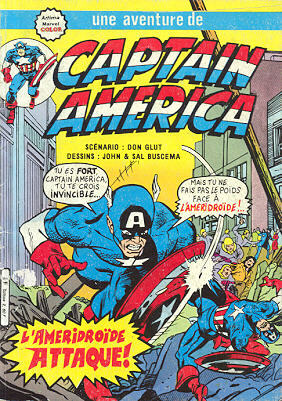 → Captain America (1°) #220 (1) (04/78) The Ameridroid Lives! 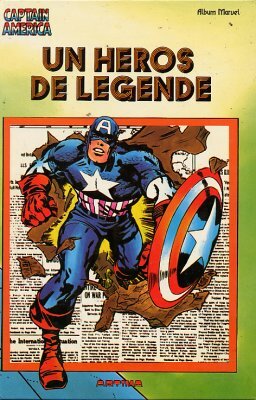 21 04/83 8 FF (1,22 €) 8,5 / 6,5 / 4,9 / 3,7 / 1,5 Qui est Steve Rogers? 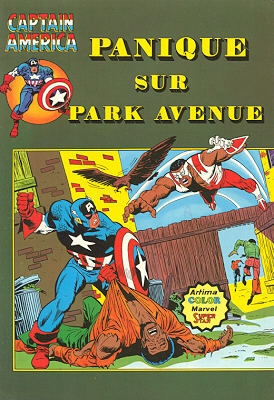 → Captain America (1°) #221 (1) (05/78) Cul-De-Sac! 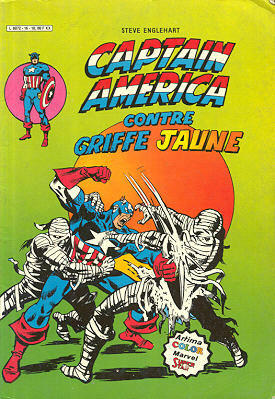 → Captain America (1°) #222 (06/78) Monumental Menace! 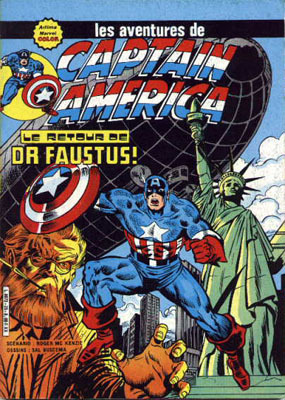 → Captain America (1°) #224 (08/78) Saturday Night Furor! 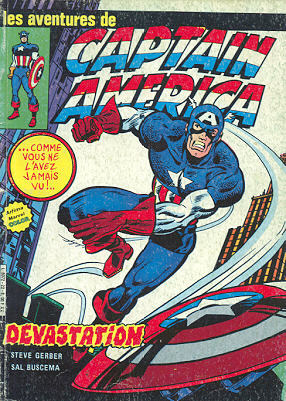 → Captain America (1°) #225 (09/78) Devastation! 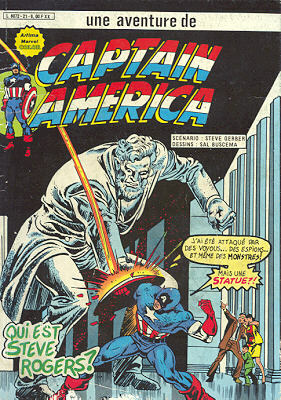 → Captain America (1°) #226 (10/78) Am I Still Captain America ? 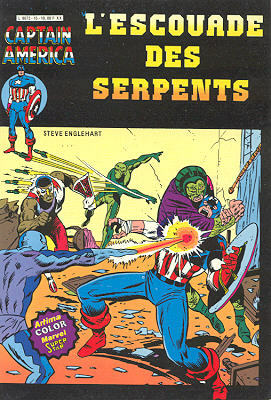 → Captain America (1°) #227 (11/78) This Deadly Gauntlet! 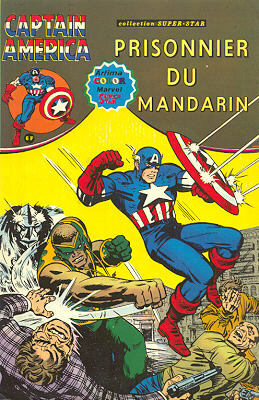 → Captain America (1°) #229 (01/79) Traitors All About Me! 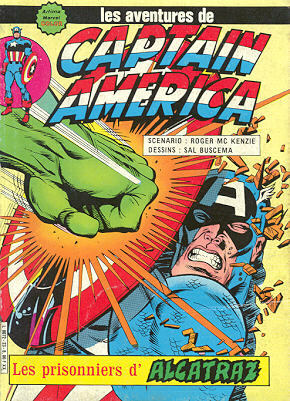 → Captain America (1°) #230 (02/79) Assault On Alcatraz! → Incredible Hulk (2°) #232 (02/79) The Battle Below! 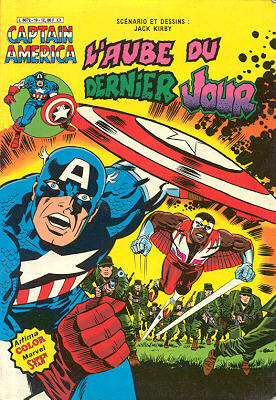 → Captain America (1°) #221 (2) (05/78) The Coming Of Captain Avenger! → Captain America (1°) #231 (03/79) Aftermath! 25 02/84 8 FF (1,22 €) 8,5 / 6,5 / 4,9 / 3,7 / 1,5 Le retour de Dr Faustus! → Captain America (1°) #235 (07/79) To Stalk The Killer Skies! 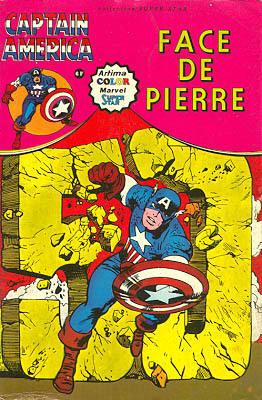 → Captain America (1°) #236 (08/79) Death Dive! → Incredible Hulk (2°) Annual #11 (3) (1982) Doc Samson - Unus Unchained! 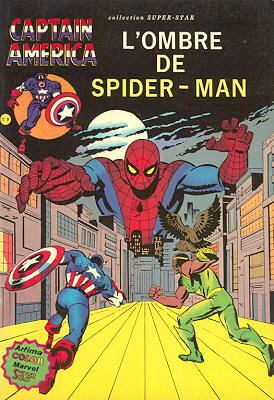 → Captain America (1°) #241 (01/80) Fear Grows In Brooklyn! → Captain America (1°) #242 (02/80) Facades!